Since January of 2015 the skies around the world have seen a dramatic uptick in the duration and intensity of full-scale chemtrailing operations. 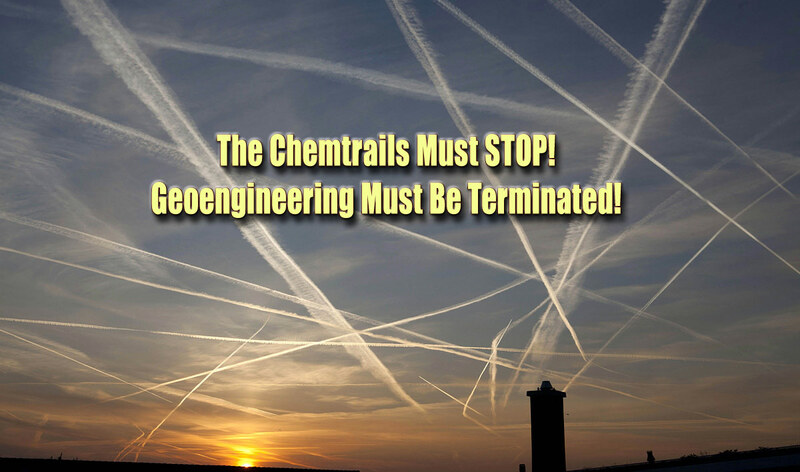 Humanity was forewarned about this intensification of global geoengineering programs by an active chemtrail pilot in December of 2014. His prediction has turned out to be true practically to the very day. 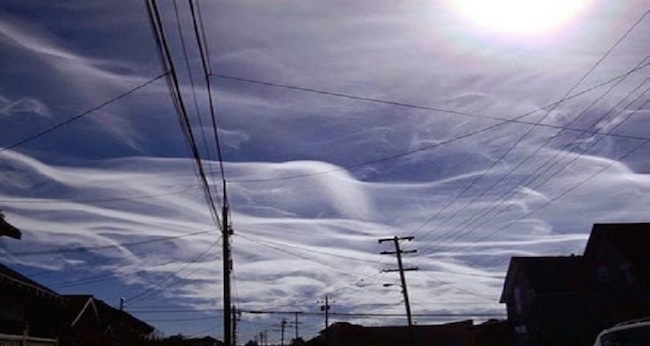 Operation Indigo Skyfold is the name of the U.S Federal Government’s unlawful chemtrail program. The following exposé clearly delineates what relatively very few know about what is occurring daily in the skies above them. Now we have a very high quality video produced by our European friends who have dissected various aspects of this illicit and extremely harmful geoengineering practice. Italians Antonio and Rosario Marciano, who run the anti-chemtrail website –www.tankerenemy.com — have written the following dedication for their outstanding production. What distinguishes their video from so many others is that the scientific research analyzing chemtrail composition represents an unusually rigorous investigation into the aerosolized mix of ingredients, their byproducts and the residues which are left on the land and the waters. For many environmental activists and health advocates around the globe, this scientific information and hard data will be invaluable in their initiatives to shut these programs down, once and for all. Because of the pervasiveness of these toxic ingredients being sprayed 24/7, as well as the poisonous nature of some of them, it is important for everyone to know what they’re being exposed to. Particularly those with chronic and/or acute respiratory disease ought to be aware. Likewise, anyone with persistent health problems or serious medical conditions ought to take notice of the information provided by this excellent video. Lastly, may we say that the following video is perhaps the finest scientific presentation on the CHEMTRAIL phenomenon on the internet today. The scientific analysis of the chemical composition of chemtrails is unimpeachable. For this reason alone it stands as a defining video-documtenary of the greatest environmental assault on Planet Earth today. Truly, there is not a more serious looming global health crisis that the one being geoengineered daily by the ongoing, worldwide chemtrailing operations. For anyone who still doubts the existence of such a geoengineering program, known for its incessant sky chemtrailing operations, please view the following photo-doc. That the skies across the planet are now sprayed relentlessly with toxic chemicals and poisonous contaminants WITH NO GOVERNMENTAL ACKNOWLEDGEMENT is completely unacceptable by any standards. Not only is nourishing sunlight significantly reduced, all life — human, animal and plant — is being unnecessarily subjected to a harmful chemtrail brew of pollutants.